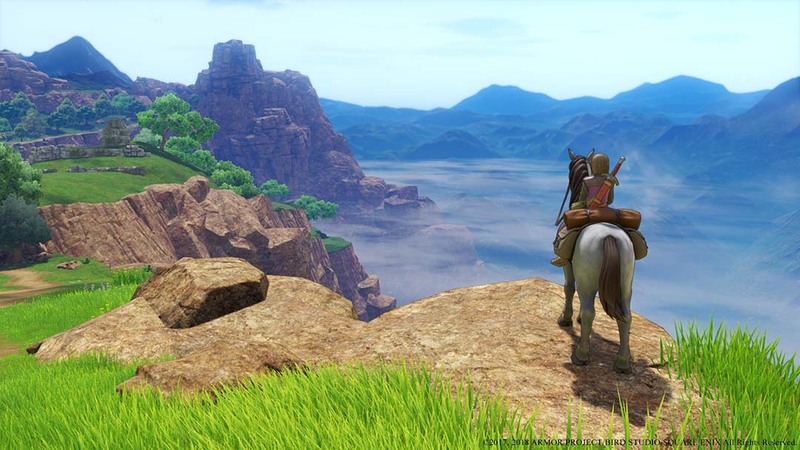 Dragon Quest XI: Echoes of an Elusive Age is set to release this year in the west. Boosting improvements over the Japanese release such as voice acting during major character dialog, or the draconian quest hard mode that makes the game have similar difficulty as the original NES games, this the definitive version of the game – and I got to play it at E3 2018. During his coming of age ceremony, our hero is revealed to be the reincarnation of a legendary hero. Carrying the title of “The Luminary” that was given to the hero prior, he sets out to save the world as was done in ages past. Along the way he will meet a colorful cast of characters to aid in his quest. 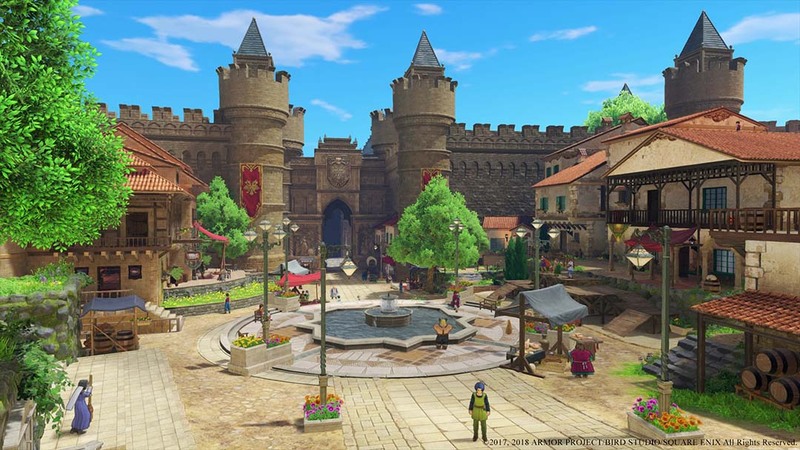 Where most high profile role-playing games as of late stand for more realistic visuals or even a more modern setting, Dragon Quest XI continues its tradition of being pure fantasy, with a cel-shaded style to boot. 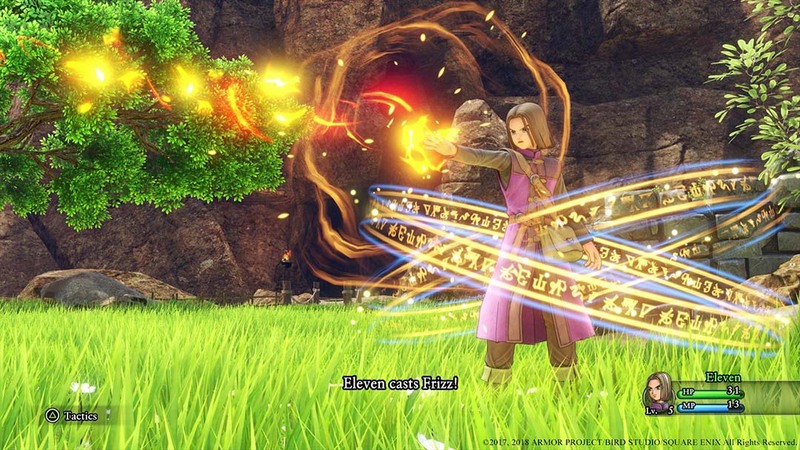 With its lush environmental visuals and Akira Toriyama-designed anime characters, this game does not stray away for the formula that’s worked for the series so well. 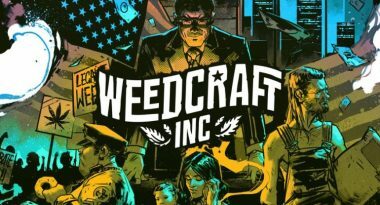 During my short experience with the playable demo, it was absolutely pleasing to the eye with its sharp visuals, and remains one of the most visually unique games I saw this year at E3. During my exploration of the game, I was able to travel both on foot and on horseback. The wide open environments had a lot to see and explore. As random counters are non-existent, I was able to see enemies around me and even ambush them by hitting them preemptively with my sword. This in turn gave me an advantage in the beginning of battle, as damage could be done even before the enemies react. While this has become standard to most modern RPG’s, it still welcome as it makes one of the core systems of the game faster. 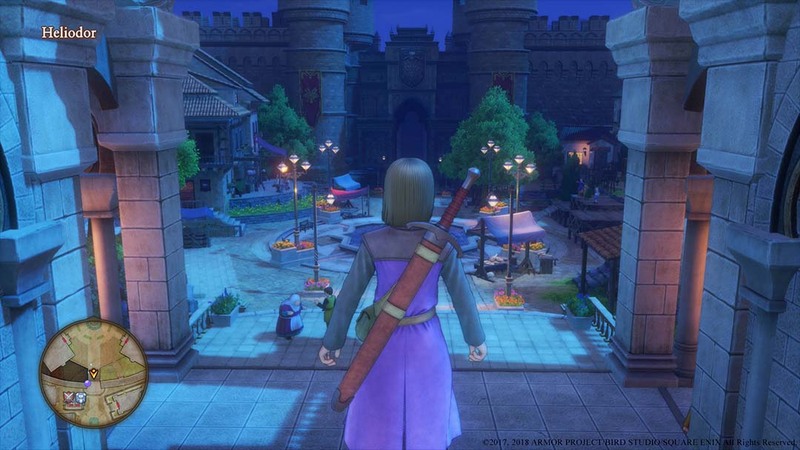 It’s worth noticing that Dragon Quest XI is strictly a traditional Japanese RPG. Combat is turn based where characters exchange blows, cast spells, and use items one after another – while being controlled through the cycling of menus. I was able to switch settings so that the games AI would control the characters or I can control them myself if I wanted to change things up a bit. Likewise, there’s the inclusion of one guest character who is completely controlled by the AI. 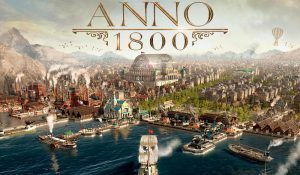 Many RPG’s on major consoles have often opted for a more action based approach to combat or attempted to turn classics into action RPG’s, as with the case Final Fantasy XV. Why change what just works, and has worked for decades? More often than not, the dramatic changes some long standing RPG series have implemented make or break a series. 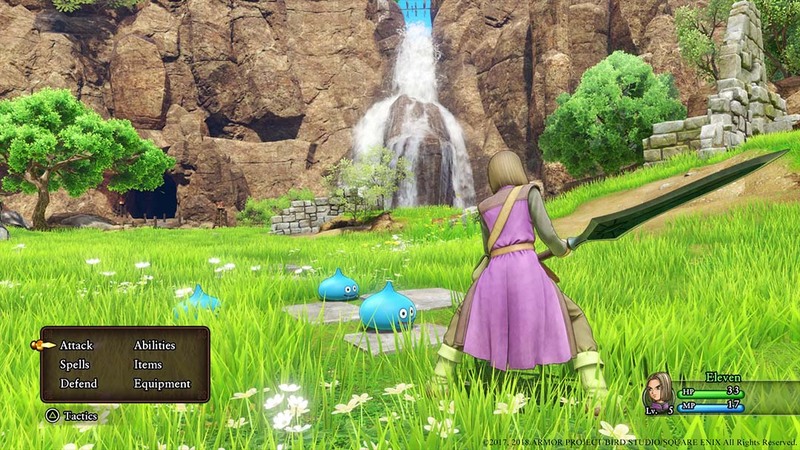 I cannot help but to be more excited with having an orthodox, traditional style return once again – and relatively untouched especially for this new entry in the long-running Dragon Quest series. One feature in combat was only used to just get a different view of the battle. This mode can be switched on and off, allowing me to move my character around the battles as they ensued. This offered relatively nothing in terms of gameplay, and only added a way to get a better look at the enemy and character models currently on the screen. During my time following the story, completing quests I got from villagers in a desert town, and fighting a giant scorpion like boss, I was also able to partake in a fun little mini game that was included. Horse racing is featured in the game, where I entered in some races that just unlocked more difficult racing derby’s as I placed first in the one I participated in. The overall race had simple mechanics: control my horse and watch its stamina while dashing around the track. Small events such as this added to the overall fun I had in the game. 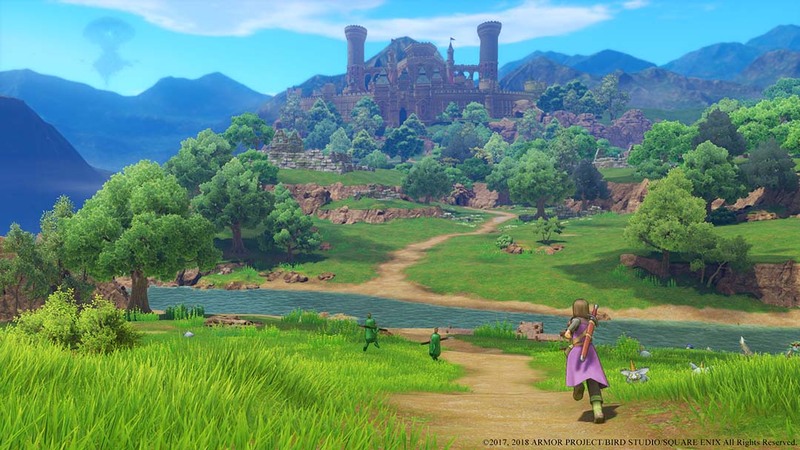 For JRPG fans such as myself, Dragon Quest XI: Echoes of an Elusive Age is one to watch out for. 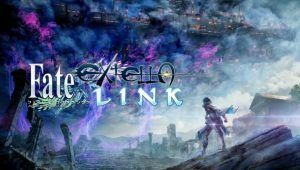 Announced for both a Windows PC and PS4 release with a version for Switch in the future, Square Enix opted to no bring over the 3DS version that Japan got. While that’s disappointing, I am still eagerly waiting its release this September, almost impatiently. 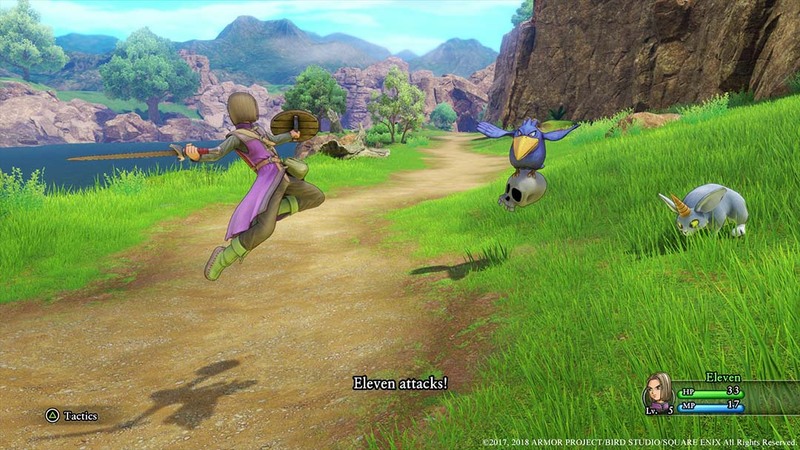 Dragon Quest XI: Echoes of an Elusive Age is launching for Windows PC (via Steam) and PlayStation 4 on September 4th in North America and Europe.